Smudge-proof, budge-proof and utterly fool-proof. Make your mark with this easy-to use felt tip to give you wings. 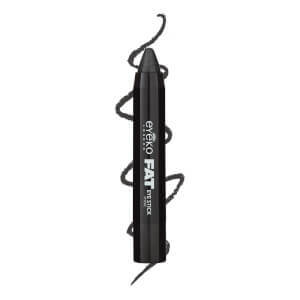 Our easy-to-handle chubby pen delivers big, bold lines with a long-lasting carbon-black colour. Our blackest black glides on and stays on for a smudge-proof finish with conditioning algae extract. 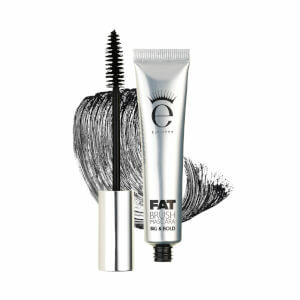 Team our latest eyeliner with your favourite Eyeko Fat Brush Mascara. This eyeliner is hands down the best I have ever come across. For myself, eyeliner is my staple make-up, I can happily go out with no other make-up so I have used many different brands in the past. I was given this eyeliner as a gift from my Step-Mum as part of her Glossy Box Subscription and I'm so glad Eyeko took part as I had never heard of the company before. I have used it every day since early last year and it is still going strong, I have just bought a replacement because I don't want to be without it when it inevitably runs out. If you love eyeliner whether you're after a thin or a thick line, this is definitely the product for you. I look forward to trying out other Eyeko products in the future if this eyeliner is an accurate representation of the company itself. Simply the best......LOVE Eyecko products. Stays on all day without smudging or running. I love this product itâ€™s easy to draw a wing with and itâ€™s easy to be super precise!! Iâ€™m sure if I got a chance to try their other products I would 100%!!! Not only do I get the thick eyeliner look I love so much, but I can also use the same pen for that sharp, pointed perfect cat eye every time! By far the best eyeliner I have ever used! It stays on all day, no budging! The stick itself lasts longer than any other brand out there. Well worth the money! Only eyeliner I can use!! Iâ€™m sooo not the kind of girl who can do eyeliner well. Iâ€™m so klutzy! I love this eyeliner, it makes me look like i know what Iâ€™m doing! This has good hang time during the day and the product lasts long time. Love love love! This was the first time I have used this brand eyeliner and I was truly amazed at how easy it was to use and how long it lasted! It went on smooth and did not smudge at all! Definitely a winner! 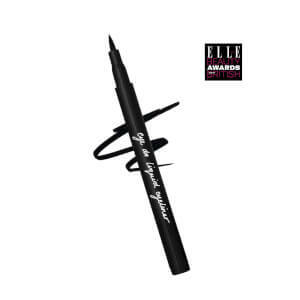 I have tried almost every liquid liner product on the market and this liner is the absolute best ever!! It glides on nice and smooth, it doesnâ€™t dry out while applying and doesnâ€™t flake off. It stays on all day without smudging. Itâ€™s easy to wash off too! My first stick literally lasted me over a year and was still proving to be the best liner on the market. I definitely prefer the fat liner over skinny.. I still get thin lines but for some reason the skinny liner didnâ€™t compare.